When you bring together friends and Scentsy products it happens naturally – laughing, sharing, and reminiscing! Fragrances evoke special memories and have different meanings for everyone. That’s why our products can’t be explained—they have to be experienced. And that’s why you should book a Scentsy party as they are so much fun! Many of us have been to a Tupperware/Avon or other house party but SCENTSY Partys are totally new – so why not be the first in your area to have one. We travel all over Spain, UK and Ireland (North and South) to host partys, they are free to book and are a relaxed but fun way to spend a few hours with friends and family. Most importantly though at Scentsy we really look after our party hosts by offering them FREE and discounted Scentsy products*. These partys take place in your home, club house or other suitable venue. They take around two hours and are loads of fun. We recommend our hosts keep refreshments simple as we are entertaining enough ;-). For the host who is too busy to organise a house party we offer the basket party. For this we give you a basket full of Scentsy products and you take it with you to work, home and friends and collect orders in your time. You still get all the same rewards as a house party host. Yes party with Scentsy without even leaving the house or getting dressed with our fun online Scentsy Parties. You can use our clever online party page to connect with all your friends and fellow Scentsy fans. We normally host online parties on facebook or zoom. Just let us know what works for you. These partys last over several days and allow everyone you know to drop in at a time suitable to them to see your display. Again you get all the same rewards and free gifts as a house party host. Yes, thats right you can fundraise for your club, organisation or a private issue with Scentsy. For details on how you can fundraise with a Scentsy party at no cost to you or your club click here. All our partys are loads of fun, pressure free and offer you the chance to get loads of Scentsy products for FREE and discounted with our generous host’s reward offers. Earn Host Rewards — free and half-price products — as soon as your party hits €295/£245 in sales. The bigger the party, the bigger your rewards! If you love Scentsy products but want more – ask about our new Earn a Kit Offer for Scentsy Party Hosts. You to get AT LEAST 50% off a joiners kit by applying your free product credit. The Host Exclusive Joiners Kit is a bumper Scentsy Starter kit with everything you need. You will also get my training and support for FREE, and ongoing. Scentsy is the perfect gift for a loved one for any special occasion or even just to show you care. We have a huge range of warmers, fragrances and alternative products including the soft toy buddys which you can gift. You can buy SCENTSY online, visit us at a show or call us on WHATSAPP 0034672346496 to make your SCENTSY order. 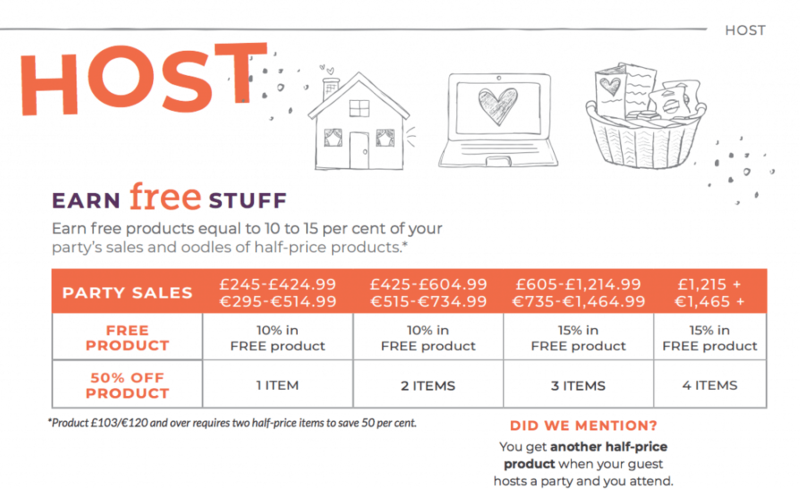 *To claim your FREE or half price scentsy hostess gifts the party must have over €295/£245 in sales.